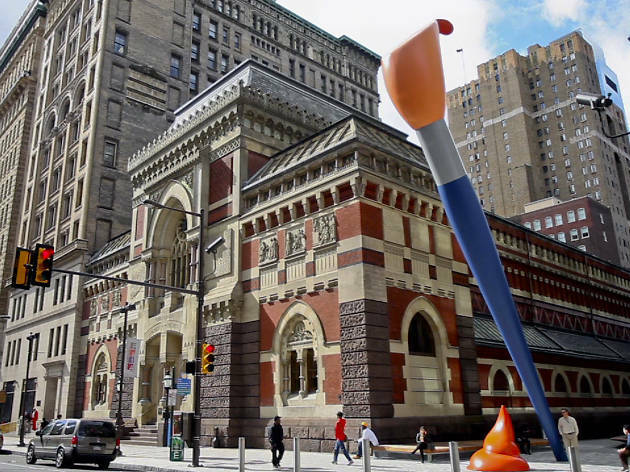 You’ll know you’ve found the Pennsylvania Academy of the Fine Arts (PAFA) on Broad Street when you spot a 51-foot-high inverted paintbrush and a crashed fighter jet stuck in the pavement. These works, respectively by Claes Oldenburg and PAFA alumnus Jordan Griska (he scored the decommissioned Navy aircraft on eBay! 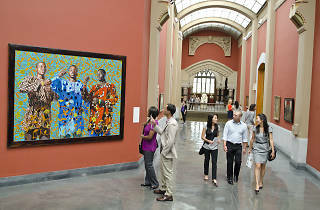 ), are dramatically installed on the plaza outside the elegant Victorian-era museum and art school that opened in 1805. 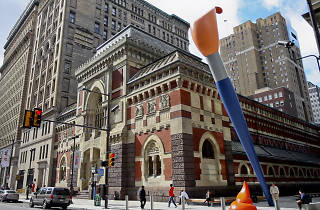 The museum—a gem designed by Philadelphia’s Frank Furness and George Hewitt in 1876—takes the viewer on a chronologically arranged tour of American art from the 1760s to today, with work by notable art all-stars including Benjamin West, Thomas Eakins, Winslow Homer, Mary Cassatt, Thomas Eakins, Alice Neel, Jennifer Bartlett, Alex Katz and Frank Stella. 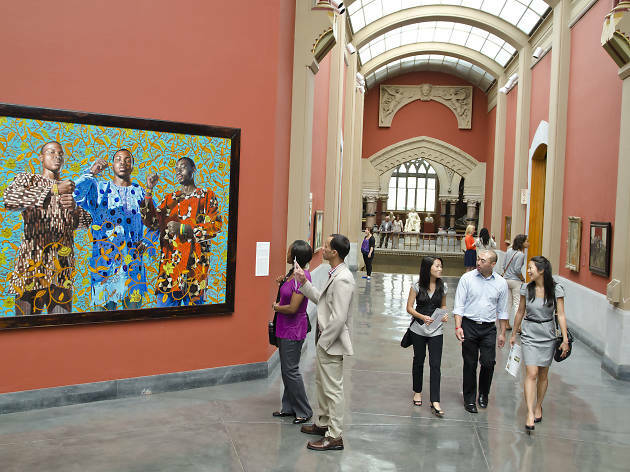 That's in addition to an itinerary of rotating special exhibitions throughout the year.